Hunting knives, tactical knives and pocket knives are the type of tools that every hunter needs at some point or another. When it comes time to prepare your game for transport off the mountain or to take care of some camping basics like cutting or chopping, it is important to have a sturdy, reliable hunting knife that you can count on to last for several hunting seasons. If the tactical knife or pocket knife is perpetually dull or flimsy it is very unlikely that you will enjoy your time hunting and may in fact result in a lack-luster hunting season. That is why it is important to make sure to always have the right blade on you at all times, and to choose the right blade. Many people do not know that there is more than one blade type, when really there are three main blades that a person can choose from, depending on their individual needs. The drop point blade is the most popular type of tactical knife blade on the market today. The drop point has a sharp curve to the blade and it is forged of a thick, durable steel blade that can stand up to just about anything. The edge of the drop point blade makes it one of the most utilitarian of the three knives mentioned here. It can be used to jab or point as well as slice, and it is very useful for efficiently skinning game after it has been killed. The clip point blade is another one of the more popular types of hunting knives out there. Although the clip point is not nearly as popular as the drop point blade, the clip point blade is made of thinner steel and the blade is flat, with a point to it. The clip point blade is perfect for skinning game as well, but the clip point blade is also perfect for other uses that are not related to hunting, like cutting ropes or branches or other things of that nature. The clip point blade is a useful knives for hunters to have, and is one of the most commonly used and carried types of hunting blades out there. Skinning knives are other popular hunting knives, although they are not nearly as multipurpose as some of the other tactical knives on the market. Skinning knives are just for that, removing the skin of a game animal from the meat. Skinning takes a certain type of blade in order for the meat to be as well preserved as possible. If you find that you lose a lot of your game during the skinning process, you may want to consider purchasing a skinning knife in addition to a more tactical blade. Having reliable hunting knives is an important element of successful hunting, whether you are a big game hunter, waterfowl hunter or fisherman. By knowing the various blade types available you can determine which best fits your needs and your use level. Remember that there is more to a knife than the style of its handle or its price. 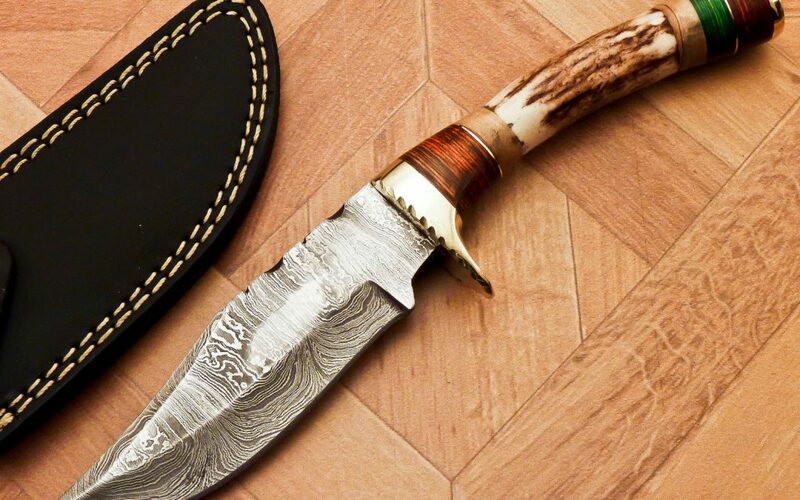 The craftsmanship and style of the blade are the fundamental elements that will make the hunting knife a valuable addition to your hunting equipment.